Deadbolt locks: Reasonable Locksmithing provides both single and double cylinder deadbolt locks. Deadbolt locks are more resistant than spring bolt locks because they cannot be retracted unless the lock cylinder itself is rotated. This is in stark contrast to a spring bolt lock that uses a spring to hold it in place. Thus, an intruder could extract it by pulling on the spring bolt with sufficient force. In addition to formidable resistance against intruders deadbolt locks also require a key to open. Moreover, Reasonable Locksmithing can provide vertical deadbolt locks that are completely resistant to lock jimmying thieves. Gate Locks: We provide several different gate lock variants including slide bolts, key based gate locks, and spring latches. Slide bolts latches are found on the interior part of the gate only. You would need to manually slide the bolt to close the gate. Key based gate locks, however, are found on the outer part of the gate and lock automatically as soon as you close the gate behind you. They, evidently, require an actual key to open. In addition, Reasonable Locksmithing provides spring latch gate locks which use a sturdy coiled spring to bind both components together, allowing for easy in and outdoor access. However, we provide you with a switch that you can use if you want to keep the gate locked from the inside. Window Locks: We currently provide 4 different window locks, namely, folding locks (open only slightly), hinged wedge locks (lock adjustable window access), keyed sash locks (require a key to open), and window latch locks (most common window lock on the Peekskill LOCKS & LOCKSMITHS market). Sliding Door Locks: Reasonable Locksmithing provides several different sliding door locks including aluminium, digital, brass, glass, deadbolt, biometric, zinc alloy, key based, and magnetic locks. High Security Cylinder Locks: We also provide high security cylinder locks with over 50,000 combinations possible, in addition to high security repair and installation services that come with a warranty. 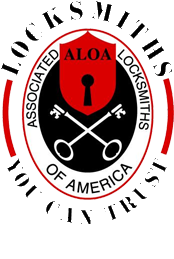 Reasonable Locksmithing has provided thousands of locks and lock/security systems of every make and grade conceivable to our Peekskill LOCKS & LOCKSMITHS clients. Moreover, our locksmiths treat our clients as valued business partners. That is, we treat all of our clients as equals and value their input so that the end result satisfies both parties. Not everyone needs the latest-and-greatest propriety technology to protect their bicycle or moped. We will help you find the ideal locking system to meet your unique Peekskill LOCKS & LOCKSMITHS needs without breaking the bank. To do so, we will arrange a free consultation as well as a free inspection of the vicinity or object that needs protecting to devise a custom security plan for you. Moreover, we currently provide lock picking, forging and installation services for the industrial, residential, forensic, and transport sectors.